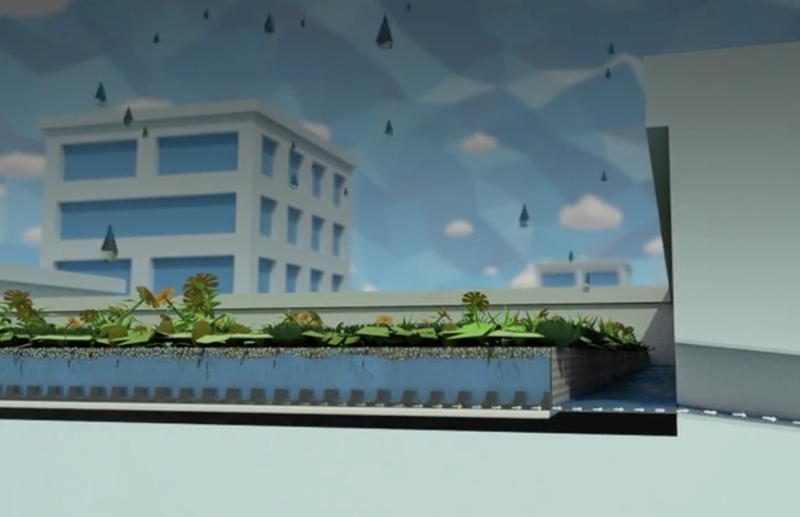 STOWA, the foundation for Applied Water Research, created an animation explaining the basic differences between conventional greenroofs, and the newer blue-green roofs. Where in conventional green roofs the water storage capacity is very limited, in blue green roofs more water can be stored and managed (added/used/drained) in the higher drainage layer such as the WRB85i by Optigreen. But let the video do the explaining!